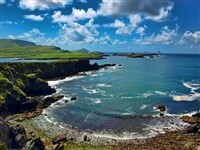 A popular Irish tour that offers a warm welcome to this lovely part of Ireland. Relatively untouched, enjoy the dramatic scenery in this region with magnificent cliffs and rugged coastline. We stay at the 4 star Killarney Towers Hotel in the centre of Killarney with nightly entertainment. 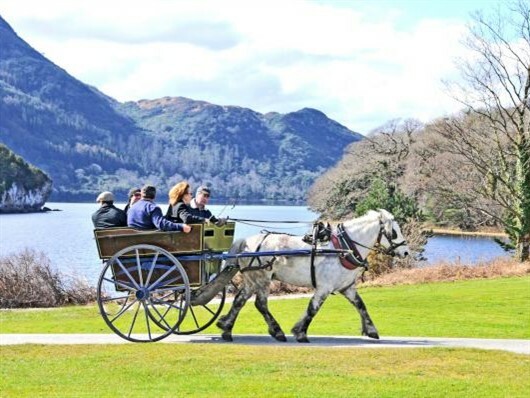 Included is a traditional jaunting car ride & lake cruise, and guided coach tours of the spectacular Ring of Kerry and Dingle peninsula, plus free time to enjoy Killarney. After our door to door collection we travel to North Wales and the popular The Kinmel Hotel, Abergele. We leave early morning for the Holyhead to Dublin ferry. Breakfast has been arranged for you on board. We then travel through the central plains of Ireland to Co. Kerry before completing the journey to the Killarney Towers Hotel for the next 4 nights. After a full Irish breakfast we enjoy a Jaunting car ride to Lough Leane where we join a boat cruise to Ross Castle. 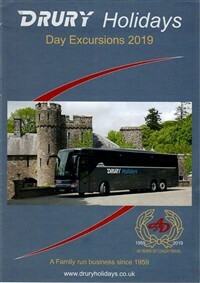 After coach transfer back to Killarney, the rest of the day is free for you to enjoy the town. 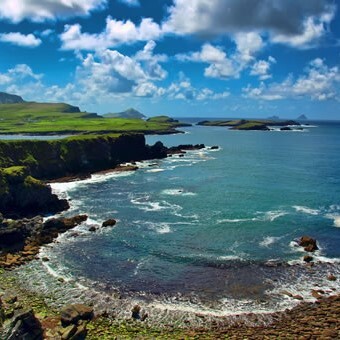 Today we head to the Dingle Peninsula, stopping in the thriving and colourful fishing town of Dingle. Once a remote Irish speaking town, it is now one of Irelands best kept secrets. Later, we continue to Slea Head, Europe's most westerly peninsula before making our way back to Killarney. Today we enjoy a tour around the Ring of Kerry, stretching out into the Atlantic Ocean and dominated by Macgillycuddy's Reeks. 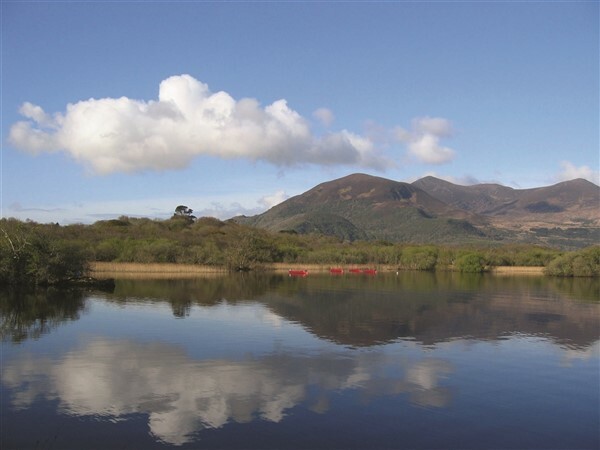 Savour 100 miles of spectacular scenery as we travel along the narrow coastal road of the Iveragh Peninsula, beginning at Killorglin, home of the famous Puck Fair. Our scenic route takes us via the small market town of Cahirciveen, the birthplace of the political hero Daniel O'Connell. We continue through numerous villages as we make our way through Moll's Gap, before descending to Ladies View aptly named after Queen Victoria's ladies in waiting. 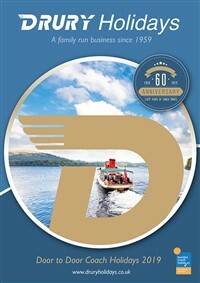 After enjoying the fabulous views of the lakes, we complete our circular tour. We bid farewell to our hosts after breakfast and travel north via Waterford, to Bray for our final night's accommodation. Following an early departure from the hotel we catch the ferry for our return sailing to Holyhead. Time to enjoy your included breakfast on board, before arriving back at our door to door service early evening. 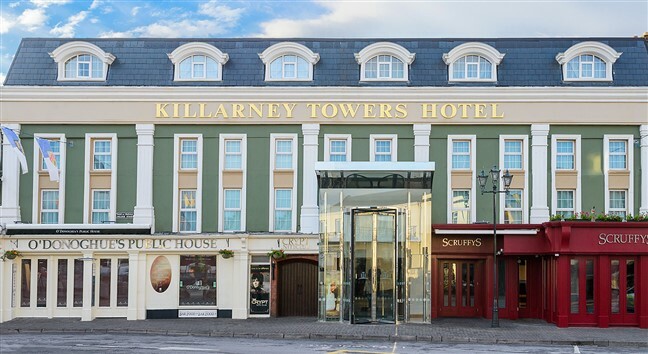 The 4 star Killarney Towers is a superbly appointed hotel with a great reputation, occupying a prime position in Killarney. All en suite bedrooms feature a TV, telephone and tea/coffee making facilities. 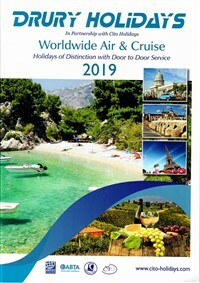 The restaurant offers superb cuisine and service and the hotel bar provides nightly entertainment. Leisure facilities include an indoor swimming pool, sauna, steam room, whirlpool and gym. The hotel has a lift. Overnight stay on outward journey. return coach transfer from Ross Castle.